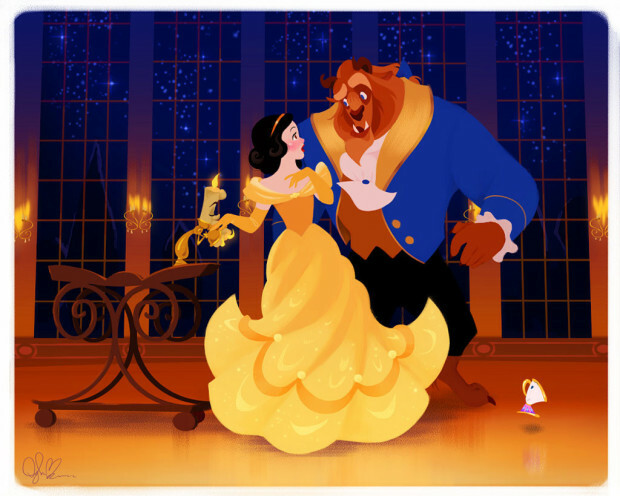 There’s been so many Disney princesses re-imaginings already, but it seems we just can’t enough of these royalties. 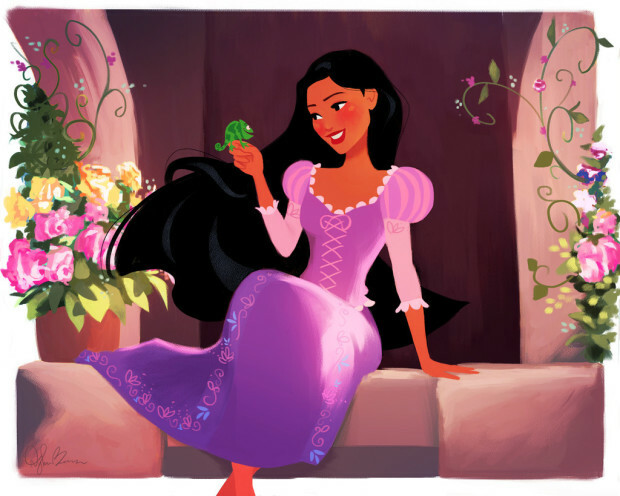 So here’s another take on Disney’s fairytale heroines. This time, illustrator Dylan Charles Bonner creates an alternate reality where these leading ladies take off their iconic clothes and swap their fairytale endings with that of another Disney princess. Let’s see if chaos ensues, shall we? Let’s start with Elsa. Oh-oh, she just might freeze the oceans if she’s not careful with that snow. But she could definitely help with our melting ice caps. 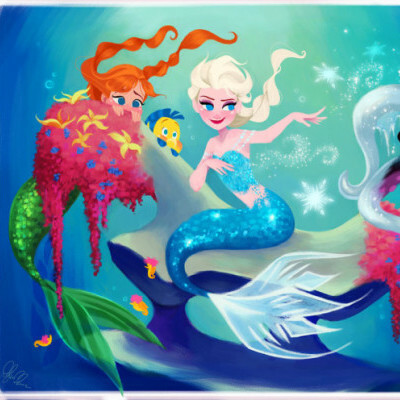 Another benefit to her being a mermaid is she’s never going to wander off alone with Anna, Flounder, Sebastian all looking out for her. So if Elsa is the little mermaid, who’s Ariel become? She’s swapped lives with Cinderella. Wonder how she’ll handle her chores. But the bigger question is: How will Lady Tremaine, her step-sisters, and the prince handle her obsession with whatcha-ma-call-its and thing-a-ma-bobs? 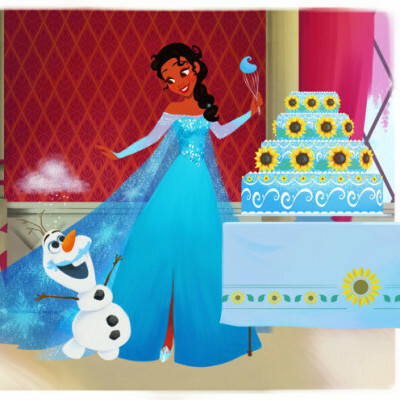 As for Cinderella, she slipped into the shoes of Tiana. We’re pretty sure she’ll do just fine. She’s used to waiting on her step-sisters and doing chores; plus, she can still make little clothes for her frog prince. Tia’s finally living the good life, but she’s still cooking. Betcha Olaf’s one very happy snowman. And for a change, she’s not going to be the one serving beignets or do chores any more. She has plenty of servants to do those for her now. 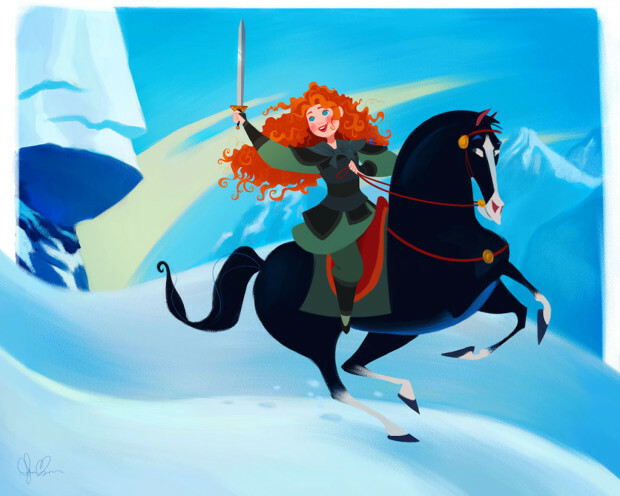 Merida’s new role is not very different from her original character. She’s still riding horses and weilding weapons. But this time, she’ll get to meet a real emperor. Although, she might have some qualms about putting really thick makeup to become a fitting bride. Same goes for Mulan. She’s still going to deal with marriage issues as Merida. 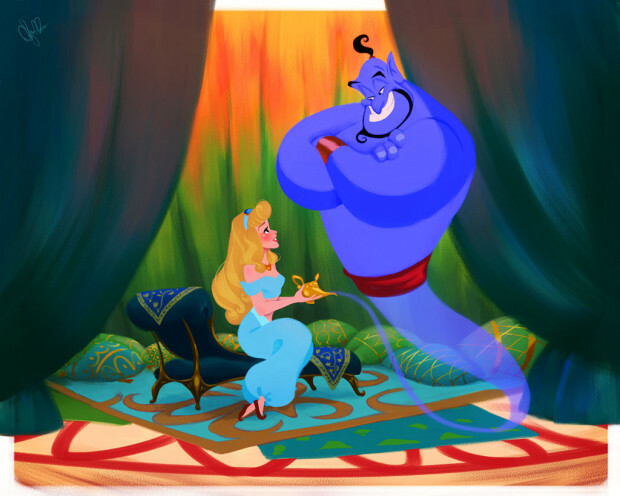 Although now, she has three brothers and wisps instead of Mushu to guide her. 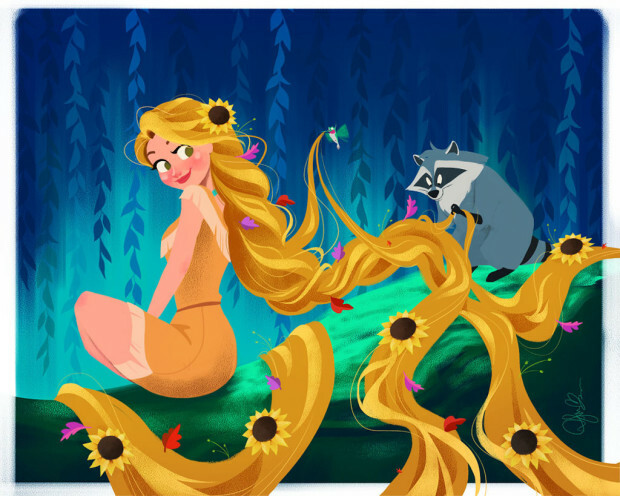 Wonder if she can really paint with all the colors of the wind or will all that hair just get tangled in the wind? I betcha Pocahontas is missing the wind, the rivers, and the corn fields. She’s not used to being locked up. 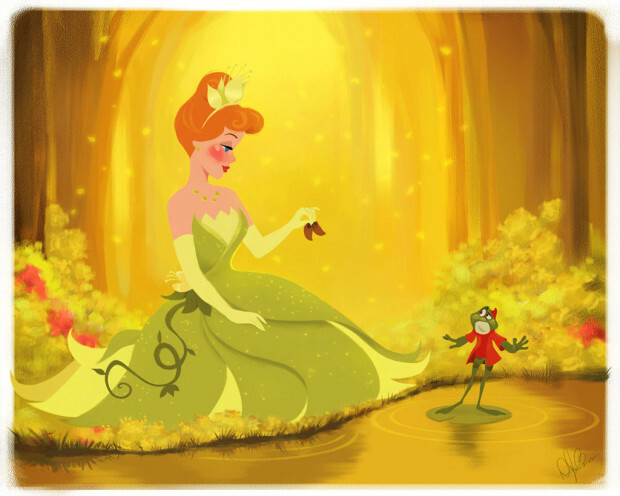 Well, at least she has Pascal. 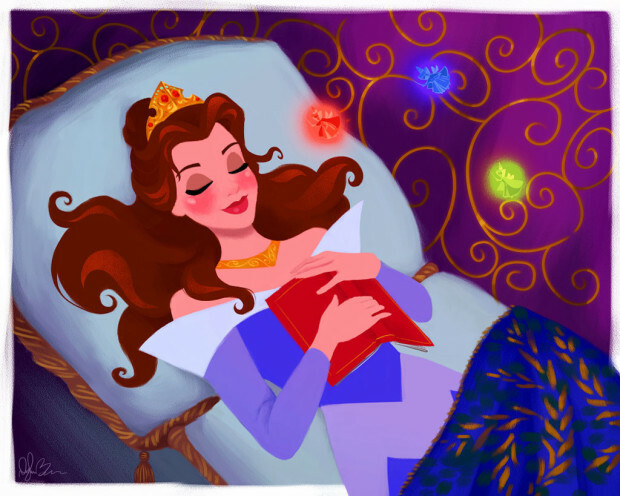 Belle’s probably dreaming about what she just read. Aurora’s in a whole new world instead of just dreaming of being in one. If Jasmine can deal with Rajah and a scheming grand vizier, she can deal with seven untidy dwarves (even a grumpy one). 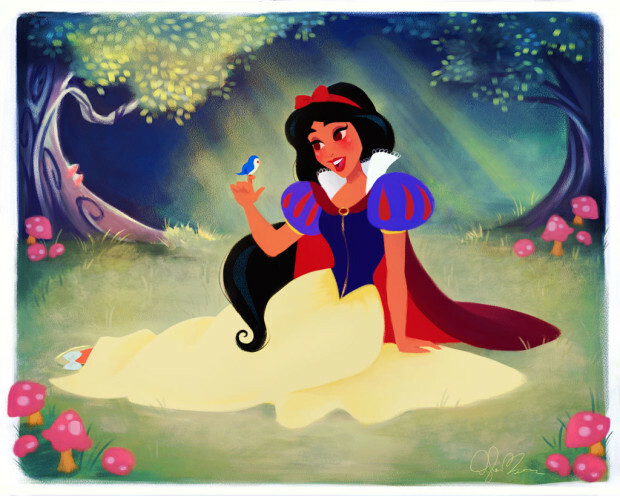 Snow White will be at home with cute and charming enchanted objects. And her kindness will certainly win over the Beast. 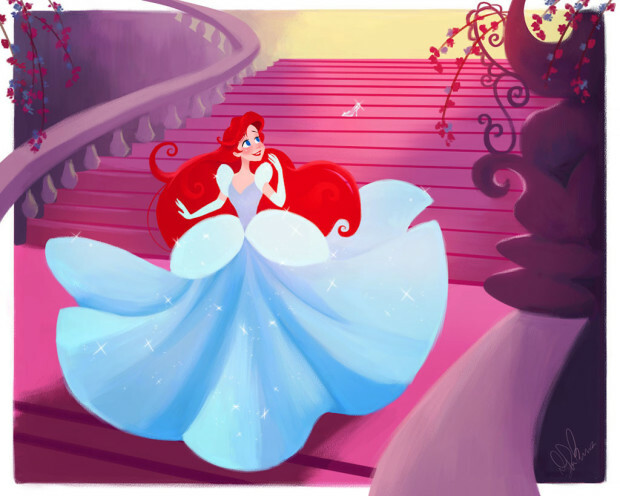 As you might have noticed, although these Disney princesses are in another environment playing a different role, they’ve managed to stay true to who they really are. 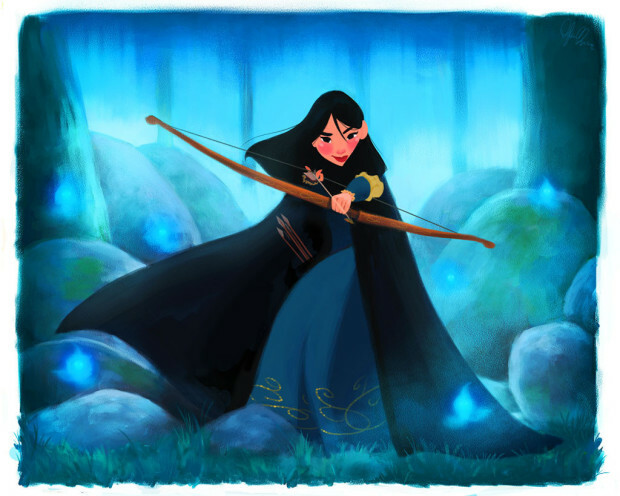 What do you think of this latest re-imagining of our beloved Disney princesses? Which one is your favorite?